Many cultures around the world use mandalas in their spiritual and traditional practices, and it has become popular in recent time to reference these objects in a more contemporary way. Some people choose to look towards ancient practices when selecting a meaningful tattoo, while others simply strive to improve quality of life by implementing meditative practices into a daily routine. The circular form holds rich traditional meanings in many cultures throughout the world, and some of the most recognizable symbols come from these traditions. In Hindi tradition, the symbol of the sun (Surya Yantra) promotes warmth, passion, creativity, and growth. The Native American labyrinth mandala represents the journey of life, without a clear beginning or end. The Celtic knot design is a symbolic representation of a connection between past and present, and a way to balance the self, the spiritual, and nature. Buddhist mandalas often incorporate a lotus flower with eight petals as a basis for more complex geometric patterns. Stained glass imagery in Christian churches often includes a central figure with geometric patterns surrounding it. Many forms of art from ancient times – including some of the world’s most magnificent building structures – were based around the symbolism of the mandala. Many tribal cultures have long used tattoos based around geometric shapes to represent a number of meaningful symbols within their cultures. These days, people who are looking for a unique tattoo that is full of personal meaning often seek out these simple forms for a timeless connection of the past and the future. 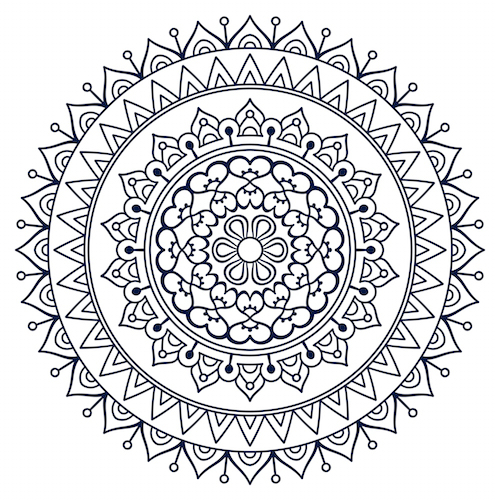 For those who may be intimidated in drawing a mandala design on their own, there are a number of resources that are easily available that allow users to download and print pre-drawn mandala shapes. These can then be colored and further tailored depending on the wishes of the user. 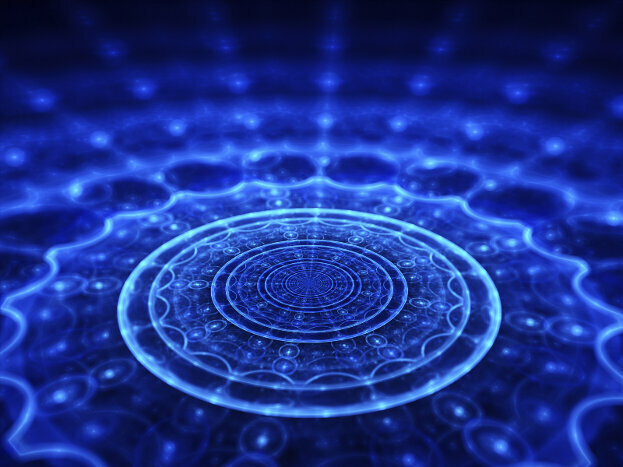 Many of these are based around ancient and traditional mandala formats. A special coloring book can also provide ready-to-go mandala shapes, which are a simple way for people of all ages to access the symmetrical centering and meditation of a mandala. Since mandala designs are often based around repeating patterns of geometric shapes, many household items can be used as stencils for those who are unsure of their drawing ability. The key with designing a mandala is finding the connection between yourself and your intended goals. Looking to traditional formats for symbolic inspiration is one of the easiest ways to figure out the relationship between your artwork’s form and meaning. For example, someone looking to feel a connection with a lost loved one may select a Celtic-inspired symbol as the basis for their mandala. However, the beauty of the mandala is that it is a simple and approachable form that will help focus the mind and body, and can help anyone find peace in the day to day world. Even the simplest forms have strong grounding power, making the creation of a mandala possible for all ages and ability levels.